Gardner is the birthplace of Heywood-Wakefield furniture, dating from 1826 when the five Heywood brothers began to fashion furniture in a barn near their father's farm. Brothers Walter, Levi, Seth, Benjamin and William began that year making wooden chairs. In the early years, Walter fashioned chairs by hand, also using a foot lathe. He was soon joined by his brothers Levi and Benjamin, part-time, while running a nearby country store. A new store was built across the street from the original store. In 1831 Levi moved to Boston where he established an outlet store to sell the chairs, while Benjamin and William remained in Gardner to manufacture the chairs. A fire destroyed the Heywoods' chair shop in 1834. In 1835 the partnership of B. F. Heywood & Co. was formed, composed of Benjamin, Walter and William, with Moses Wood and James W. Gates. Gardner was also the home of the Conant-Ball furniture factory. Nichols & Stone Chair Company traces their origin to 1762 in Westminster, Massachusetts. The company moved to Gardner at the turn of the 20th century. As of July 2008, it was announced they would terminate production. The Nichols & Stone name, the intellectual property and the design rights were purchased by the L. & J.G. Stickley of Manlius, New York. The seal of Gardner was designed in 1898 by native-born illustrator Walter Harrison Cady, at the age of 21. According to the city code, the seal shows a portrayal of Col. Thomas Gardner standing in front of Crystal Lake with Mount Monadnock in the background. 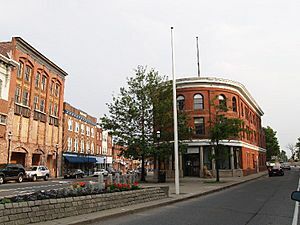 Within five smaller circles we see a chair, representing the importance of the furniture industry to the city's economy, as well as the letters W, W, A, and T, representing the surrounding towns of Westminster, Winchendon, Ashburnham, and Templeton which all contributed land to the city at its founding. Gardner is located at (42.573920, -71.990818). According to the United States Census Bureau, the city has a total area of 23.0 square miles (60 km2), of which 22.2 square miles (57 km2) is land and 0.8 square miles (2.1 km2), or 3.52%, is water. 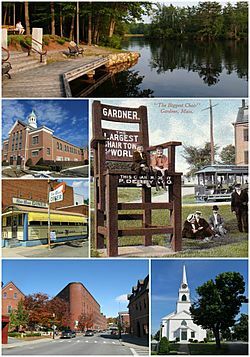 Gardner is situated on Crystal Lake. The highest point in the city is the summit of Reservoir Hill, close to the center of the city, with an elevation of over 1,280 feet (390 m) above sea level. Gardner is bordered by Winchendon and Ashburnham to the north, Westminster to the east, Hubbardston to the south, and Templeton to the west, all in Massachusetts. In the city, the population was spread out with 23.7% under the age of 18, 7.7% from 18 to 24, 31.8% from 25 to 44, 20.7% from 45 to 64, and 16.1% who were 65 years of age or older. The median age was 38 years. For every 100 females there were 105.1 males. For every 100 females age 18 and over, there were 103.7 males. 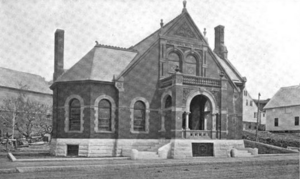 The public library in Gardner opened in 1885. The original library building is now a museum of Gardner's history. In fiscal year 2008, the city of Gardner spent 1.84% ($734,164) of its budget on its public library—some $35 per person. Public transportation for Gardner is largely supplied by the Montachusett Regional Transit Authority (MART). MART operates local fixed-route bus services, shuttle services, as well as paratransit services within the Montachusett Region. MAX provides intercity bus service to Boston, Worcester, Fitchburg, and Brattleboro, Vermont with intermediate stops. Beginning in 1871, the Boston, Barre and Gardner Railroad provided rail service to the town. Gardner station was the terminus of the MBTA's Fitchburg Line from 1980 to 1986, but the line was cut back to Fitchburg at the beginning of 1987. MART began weekday van service from Gardner to the new Wachusett terminus of the Fitchburg line in 2016. For many years, the Gardner Municipal Golf Course has been home to the Central Massachusetts High School Cross Country District Championships. Every three years, it is also home to the Massachusetts High School State Cross Country Championships. The course record for the hilly 2.9-mile (4.7 km) course is 14:00 set by Andy Powell in 1998 while Lynn Jennings has the girls' record with a time of 15:50 from 1977. Home of the largest Relay For Life event in New England. 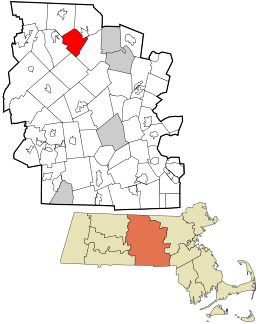 Gardner, Massachusetts Facts for Kids. Kiddle Encyclopedia.